Buying your first premium plane, what you need to know? Besides being great for earning silver, premium planes have one maybe more important feature: they are fantastic crew trainers. You can take any of your pilots and place him a new premium plane without any retraining as long as it's the same nation, and you can vastly speed up his learning. So when deciding which premium plane to buy, it's best to be from your preferred nation at the moment. Send the new premium pilot to the Barrack, you'll use him for something else later on. Take your favorite pilot from your regular plane (he has to be 100% efficient on that plane), put him in a premium plane without retraining and let him learn new skills faster. There aren't many premiums, who are better than the tech tree mirror. Premiums are underpowered. RB is the only t8 bomber, that is making it special. The main purpose of premiums is money-making and crew training. Edited by zen_monk_, 29 January 2019 - 01:22 PM. Gunners from planes of the same nation can be used in premium fighters, bombers and attack aircraft, etc, that have a gunner crew spot, without retraining to skill them up quickly. Edited by BravelyRanAway, 25 January 2019 - 10:34 AM. Haven't seen that one before, was it already available ? Edited by GonerNL, 25 January 2019 - 12:39 PM. Yes it was, just geniuses from WG misnamed it as F15C instead of XF15C. When you but your first premium, buy one you will truly like. Forget everything else, because nothing else is important. If you give your money for fun, have fun. ....and to add to what Zen said. Do a bit of research before you spend any real money. There are more than a few reviews out there, either written or videoed that will offer some insight on what the plane is like. Some premium aircraft are just not that good when compared side by side to other aircraft either in the tech tree or against other premium aircraft. Plus lets be honest, if you are going to spend your hard earned cash, take a few minutes to get as much info as possible before you purchase. A couple of planes that are always available in the shop and are my go to planes are the Tier 5 Boomerang and Tier 8 Seafang. As you can imagine; there are many more out there that people prefer but these are just the planes I would like to highlight. The way I look at it is, if I could only keep a couple of planes in my hanger, IMO these are the ones that treat me right on a consistent basis. When you buy your premium, be aware WoWP may without compensation or an offer of a refund nerf it. You’d be unlucky if this happens, but it happens. The best premium T8 is P-80A, it shreds everything to pieces in a few sec(even bombers and it can get up to get bombers), takes ages to overheat the guns and is fast enough to escape most turn fighters. The worst is La-11, T8 light fighter, is slow, has the worst turn rate(not by much) out of all T8 turn fighters and crap guns, those 3x 23mm guns are worse than 20mm guns that you can find on T6 and T7(they overheat very fast as well, making it impossible to finish anything fast), they have to deal at least 140 damage per second(as the stock guns on Yak-15) to make it worth the money or to make it an actual T8 aircraft and not some lost T6 one. As it is right now it has worse everything than some T6 planes and is a lot worse than all T7 light fighters. Might be tempting to buy it because its the only T8 premium turn fighter, but save yourself from some frustration and don't buy it. Edited by Dis4ster, 26 January 2019 - 08:48 PM. I love my La-11 Although the guns do take some time (and pilot skill points) to master, they over heat far too quickly. She's been a great credit earner for me at least, but I wouldn't recommend it as a 'first' premium aircraft. Another reason to tell the players how long it takes for the guns to overheat, its clearly a balancing feature, which can make on paper good looking planes to the worst nightmares in the actual battle, you shouldn't need to buy the crap to find out that its crap. Same goes to accuracy and shell traverse, for example XP-58 is one of the worst planes because it never hits the full 4 shot burst and the shells are so fking slow that something like a XF-90 would out run them or catch up to them if it had the same useless guns(would be awesome to damage yourself when shoting at full speed). I think the devs gave those guns the characteristics of ground attack guns, which need lots of lead to hit a maneuvering aircraft even at close distance, idk if they did it on purpose or out of stupidity but people have to know that befor they buy them. There's a few planes out there that superficially look similar to a techtree plane, but might have widely different gun charactaristics meaning it takes a while to get used to them. For example, the A6M3 Experimental and the A6M2 look quite similar. But the M3's 30mm cannons behave quite differently from the M2's 20mms. The P-80 and the RB-17 are the only T8 premium planes I would recommend as first T8 premium. They are good, easy to fly and you know what you will get. All the other T8 premiums are too much special on one way or the other. I don't say they are bad but they require a special kind of handling which is often not that obvious and easy to handle. Maybe also the Seafang but I always loose with it. edit: The problem with reviews is that most of them became obsolete with introduction of specialization. I don't know even one youtuber that is still providing good reviews for WoWP. Edited by klbergmen, 28 January 2019 - 04:08 PM. For tier 6 and lower: buy them on discounts! Considering the OP the question worth answering would be: should your first premium be a tier VIII ? I have only Seafang at that tier and it was best buy ever (for tokens though) I love it, it carried me through so many dailies at the time I had no other tier VIII ... so if you can stomach the price tag, I can recomend it. Guns are a bit tricky, but its the same for most 4x20mm setups. Lower tier premiums have good use for dailies, when your advance through tech trees gets you at tier VIII+, so I would not say they are wasted money. My LBSh (tier IV GAA) is really useful for low tier dailies now and it can use my IL-40 Pechorin brothers crew on steroids. The P-80 and the RB-17 are the only T8 premium planes I would recommend as first T8 premium. I can’t say I agree with the recommendation about the P-80. It hinges on whether you can handle Mustang-style weaponry, which a lot of people dislike. However, if MGs and long kill times don’t bother you, the P-80 is a sound choice. Personally, I prefer a JL-1A-37 Shenyang, but again mixed armament is not to everybody’s taste. The RB-17 is nowhere near as good as it used to be, being a premium that was nerfed (see my warning above). Still, it can be fun especially if you have a good tail gunner. Would I recommend it as a first choice? Mmm, probably not, but then my first choice would be a Seafang and in most respects that is a pretty average aircraft. that is a pretty average aircraft. Well, of course the Seafang didn't have a regular counterpart until very recently. However, now the Tempest is in the game I am left wondering why I would fly the Seafang. I'm not really interested in crew training and I'm not short of money. 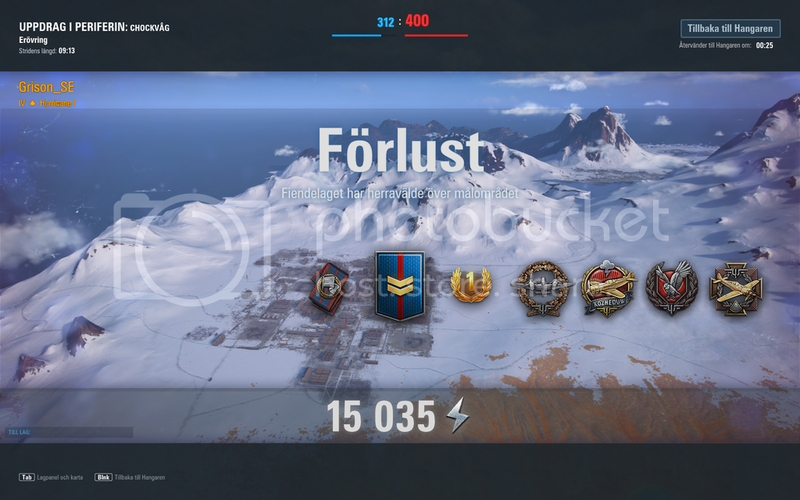 Well, I finally got myself a Seafang, still getting familiar to the caracteristics, I think I will like it when I learn how to fire shorter bursts with the quickly overheating cannons. Tried it out again just once , today before leaving for work, "Oh no not a T8/T9 battle, I will get my b*tt kicked again". But came out as #1 with almost 300k. Trained a pilot in the Seafang, put him in the Hurricane and got a pretty descent result, too bad my team lost anyway. Good job - 300k and 3 tokens. This shows one should never give up, even if the game is lost from the beginning.